That and more in this fun interview with Anjali. She's been featured in Huffington Post, Women's Health, Buzzfeed, and OWN. My name is Gina Paulhus. I am an author and owner of a Personal Training Company called Home Bodies. I also co-own a company that has a money-back guarantee that health problems of any type will improve when using the tea for at least six months: Discount Essiac Tea. I am excited to “pick” Anjali's brain (you’ll get this joke soon!) on how to eat and cook healthy when you or your loved ones are picky eaters - whether that means you don’t like many foods, or you are very choosy about what you put into your body! Without further ado, let’s jump right in! I'm Anjali. I'm a board-certified health coach, author, wife, mom and food lover from the San Francisco Bay area (now living in Ann Arbor, MI!) I write a blog called Picky Eater Blog. I grew up in a very healthy, whole food eating culture. My husband on the other hand grew up in the pizza-eating suburbs of Chicago. I call myself a "whole wheat girl" and him a "white bread kinda guy." What is your mission with the blog? My mission is to prove that nutritious food can be both delicious and desirable. I wanted to learn how to transform traditional processed frozen foods to ones that are healthy and flavorful. I like to focus on foods that are healthy, easy and tasty. If someone like my husband, who has a picky palate, likes my recipes, I am confident that others will like them too! What types of people do you help and how do you do it? I help both individuals and families with weight loss and wellness. I specialize in accommodating picky eaters. I launched a book 3 months ago: Kid Chef Junior. This book is designed to help get kids into kitchen by making the healthy recipes that appear in the book. It’s already sold 50,000 copies which is just so inspiring to see, and I'm so grateful for it! The book includes 25 recipes that can be used for breakfast, lunches and dinners. They are all super kid friendly, but also healthy and tasty (adults can enjoy them too!). My mission is to get kids interested in and excited about whole foods at an early age, so they don't risk developing bad eating habits when they're older. Aside from continuing to coach my clients, and helping kids get into the kitchen, in 2019 I will be working more on food investigations! We all have heard about the benefits of being healthy. However, what personally have you seen change in your life when you made the switch? Although I grew up eating healthy, I did "fall off the wagon" in college. When I got to school, I realized I could have chocolate chip cookies all day long and pizza for every meal if I felt like it—and I did! Pardon the cliché, but during freshman year I ended up gaining 15 pounds...But that’s not all. I felt sluggish. I had low energy and began suffering from headaches. The funny thing is, at first I didn’t understand what was happening. But then I realized that the food that I ate is what made the difference in how I felt. Once I realized that, I switched back to how I was eating as a child. Upon switching my diet, I no longer felt sluggish and tired, the weight fell off, and my skin cleared up. It was like night and day! I felt the difference for myself and was sold. How do you tackle food shopping/meal prep at home? It’s definitely a challenge with two kids and full-time job on top of having the blog. I have to be a really good planner! One day a week (usually on the weekend) I plan out meals for the entire week. I use Amazon Prime for grocery delivery. I love that I can order groceries at midnight if that’s when I get around to it. Then voila! They come in the morning. Using that is so helpful...it saves me so much time. I like how I can add items to my cart online as I run out of things, and then order it all at once so you never really end up sitting down to make a list. I plan the meals at the same time as I place the food order. During the week I will usually cook three big meals that can be used for leftovers too and also two small meals. That is mainly for dinners. For breakfast and lunch I have a few easy options that I rotate through. Every other night includes a simple side that complements the main meal. What factors do you use to decide where to eat out? When we eat out, I seek high quality, tasty and interesting food. We don’t do it often so don’t restrict where I go or what I order. However, because I know that I feel best when I eat healthy, I make sure to get veggies somehow even if I have to order them as a side. For me, eating out is for fun. I believe in indulging in moderation and we only do it once a week or so. I consider eating healthy in general to be less about how I deal with eating out and more to do with habit forming. For example, deciding to avoid mindlessly grabbing cookies at work for a snack. I do make a point to treat myself however. I have some dark chocolate at end of the day—every single day! Sometimes I use half a Lara bar and some chocolate as my desert. I sit down and focus on my food so that I feel satisfied. I find eating healthy to be a lot about managing quantities, eliminating mindless eating, and making it an intention to eat healthy. If you find yourself somewhere with limited options such as a concession stand or pizza place with a group, what do you do? If it’s a pizza place, usually a salad. If I’m headed somewhere that has a concession stand as its only option for food, I might eat before or take along an apple, some nuts or a protein bar to munch on. Do you eat the birthday cake or skip it? Eat it. I love birthday cake! 1. Start small. No one is asking to change your entire life in one sitting. For example, if you drink a lot of soda, try making it half water instead of all soda. If you’ve been eating a lot of white grains, switch to wheat. Do little tweaks like this that are easy to implement. 2. Every meal has something of color in it. Add a bright colored fruit to breakfast. Add a veggie to dinner. It doesn’t have to be complex. For fruits, you can just cut them and eat them raw. For veggies, they can be enjoyed raw as well or you can just steam them or toss with olive oil and salt and stick them in the oven for a super fast side. 3. Be mindful of the amount of sugar in a given day. If you’ve been eating say 4 things with significant sugar in them each day, try to cut down from four to three, etc. I hope this article was helpful! 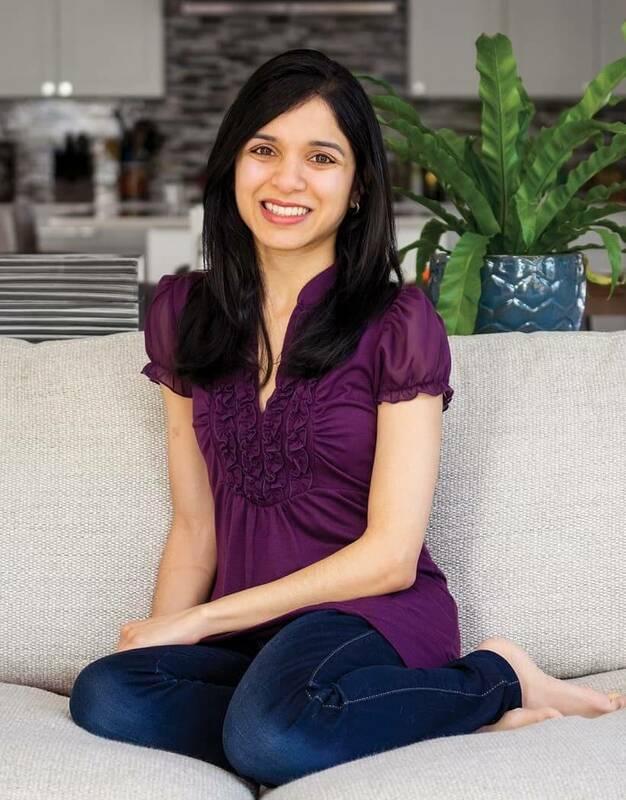 Please check out Anjali’s blog: Picky Eater Blog to find more tips and information as well as to follow her on social media! If you'd like additional nutrition and fitness tips, check out my new book that recently became a #1 New Release on Amazon: Change Your Weighs: 199 Reasons Why It's Just Not Working Out.